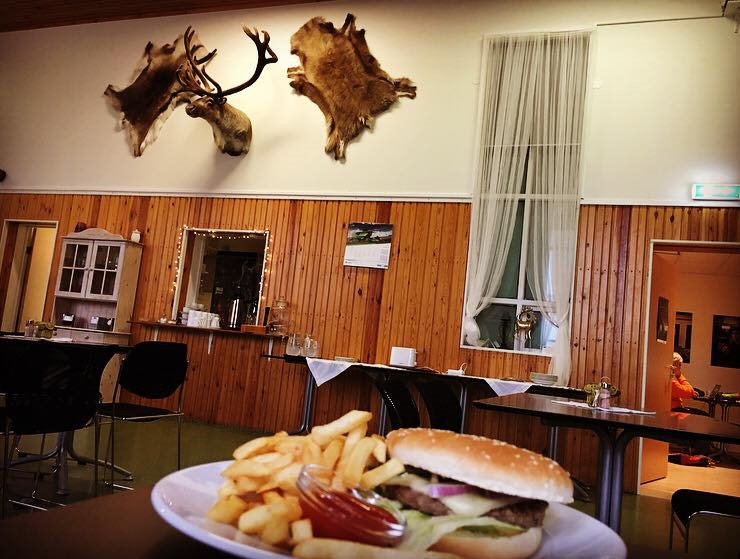 Offering an outdoor pool and a restaurant, Guesthouse Skjöldólfsstadir is located by the Route 1 Ring Road. All rooms have mountain views. Egilsstadir town centre is 51 km away. Iceland cannot boast of having an especially grand selection of wild land mammals, but many people are not aware of that a sizeable herd of reindeer reside in the East of Iceland. Á hreindýraslóðum (Home to the Reindeer) in Skjöldólfsstaðir in Jökuldal valley offers you a chance to spend the night in reindeer country. Á hreindýraslóðum serves as a makeshift museum of the history of reindeer in Iceland, it has a craft store and just a few kilometres away there is a small zoo where you can see a few reindeer up close and personal. Á hreindýraslóðum can accommodate up to 38 persons. Guest rooms at Skjöldólfsstadir have access to shared bathroom facilities. Leisure options include a hot tub, terrace and children’s playground. Guests can relax with a drink in the bar. The guest house is located by a river that is popular for salmon fishing. Egilsstadir Airport is a 35-minute drive away.